I grew up watching my Dad play hockey, he was a stay at home defenceman. Of course, I followed in his footsteps. Dad played charity games in our hometown, he coached local teams and tolerated my ankle slashes as he taught me how to play hockey. Over the years my Dad became the primary driver to my hockey games, practices and tournaments across Ontario. Growing up in the snow belt of Ontario, the driving conditions were not optimal, but with my Dad behind the wheel I didn’t worry about the deteriorating weather conditions. Only Bridgestone Blizzak Winter and Snow Tires use Multicell Compound Technology that uses millions of microscopic pores in the compound to help to remove the thin layer of surface water to improve grip on ice. Dad would remind me that if I did my job correctly, then the goalie could then do their job more effectively and make great stops between the pipes. 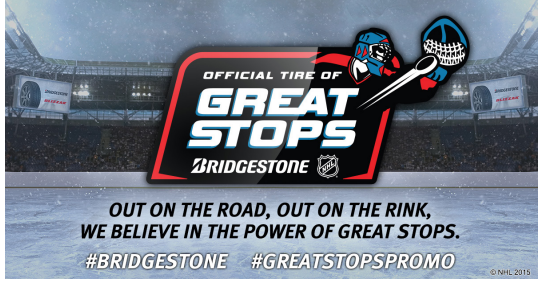 Out on the road, out on the rink, Bridgestone believes in the power of great stops. 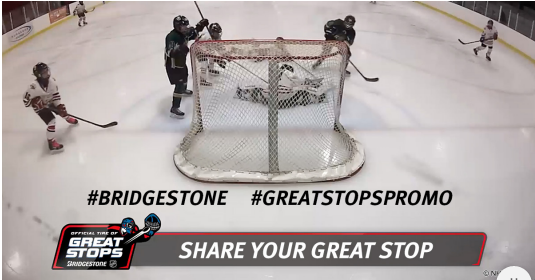 We’re asking Canadians to share videos, photos, even stories of their Great Stops on all social channels Share your Great Stops with us and tag them #Bridgestone and #GreatStopsPromo for a chance to be featured on the big screen at the 2016 Bridgestone NHL Winter Classic®. For more information about sharing your videos click here for more information. 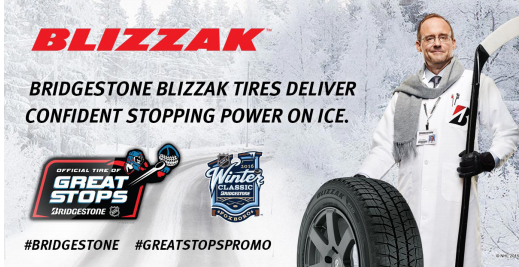 We’ll feature our favourites on bridgestonegreatstops.ca and there’s a chance they may be featured on NHL.com social properties, on the bridgestonegreatstops.ca microsite and added to our highlight reel on the big screen at the 2016 Bridgestone NHL Winter Classic®. Can you imagine seeing your player on the big screen at the NHL Winter Classic®? I can, because I will be there in the centre of the action with my Dad! 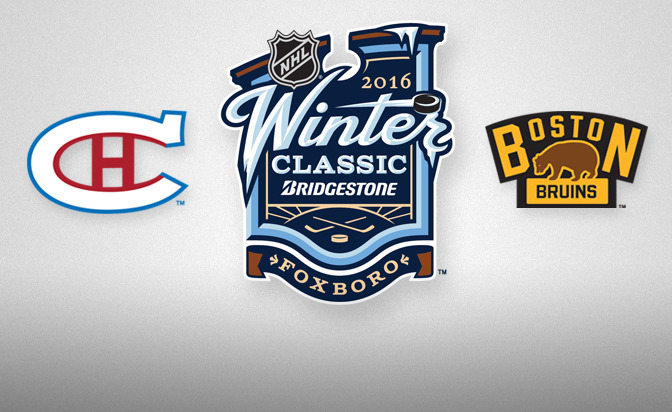 I will be live tweeting, posting and periscoping LIVE from the NHL Winter Classic®. Bridgestone is the title sponsor of The Winter Classic, the only regular season NHL game played outdoors and the one game that feels most like what regular Canadians play in backyards and community rinks across the country. This year the Montreal Canadians will be taking on the Boston Bruins from Gillette Stadium in Foxboro. My Dad and I will be there in the centre of the action at the festivities leading up to the big game and there on January 1st to see this epic showdown on ice. Before the 2016 Bridgestone NHL Winter Classic® we wanted to bring Canadians together in a conversation about playing hockey, winter driving and great stops. Join us on Tuesday December 15th at 9:00PM ET. 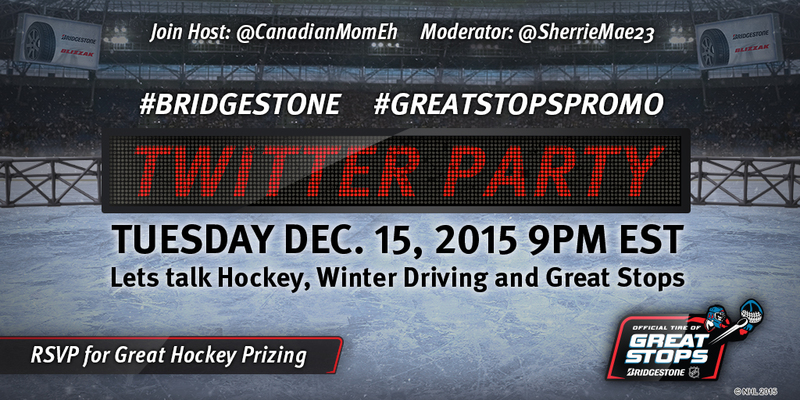 I’ll be hosting the party along with @CanadianMomEh using the hashtags #Bridgestone and #GreatStopsPromo RSVP below to be eligible to win one of the $2000 in prizes. Please note this party is only open to Canadians but all are welcome to attend. Complete rules and regulations may be found here. ← North Grenville Gift Guide & Giveaway!